A car is one of the most important purchases that you will make in your life which is why protecting it is so important. Your vehicle requires regular care and maintenance in order to ensure its peak performance and its overall lifespan. With that said, the folks here at Auto Clinic of Franklin are committed to providing you with the best all round Franklin auto repair services this side of Tennessee. Whether routine maintenance, standard repairs such as headlight replacement, car window adjustments, oil changes or any other type of automotive repair we are definitely the team for you. 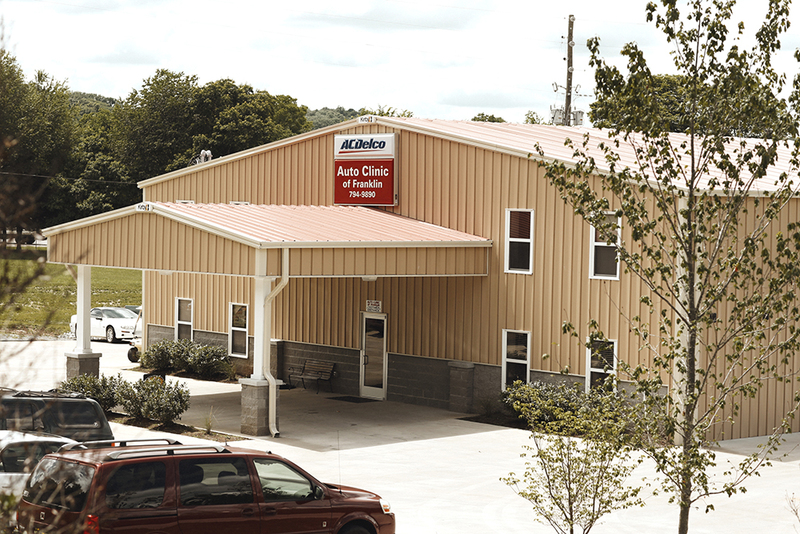 Our full-service auto repair facility located right here in Franklin and operated by our licensed auto repair technicians and managers, has earned itself a spot at the top of the charts as one of the best automotive facilities in all the regions. We pride ourselves on our premier Franklin auto repair services and are friendly, certified team of professionals who are quick to provide you with all your automotive needs. Here at Auto Clinic of Franklin you are our #1 priority. We ensure that we provide all our customers with the confidence and peace of mind needed to know that you’re your vehicle is being cared for by some of the best technicians in the industry. Open weekdays, Monday through Friday, from 7:00 am to 5:30 pm, our team stands ready to serve you with all your automotive needs. Proudly serving Franklin and many of its surrounding towns, our licensed techs are on hand to answer all your questions and address your every concern. We are committed and dedicated to providing products and services that are not only top-notch but affordable as well. If you are in need of top rated automotive repairs and services, then surely you have come to the right place. Whether winter, spring, summer or fall, proper maintenance of your vehicle is essential to its efficient functionality and its life expectancy. So, when you find yourself in need of quality, affordable Franklin auto repair services don’t delay, but rather reach out to the professionals here at Auto Clinic of Franklin. Give us a call at 615-794-9890 to schedule your routine maintenance or automotive repairs today. We look forward to serving you and to providing you with the best all round auto services and repairs this side of Tennessee!